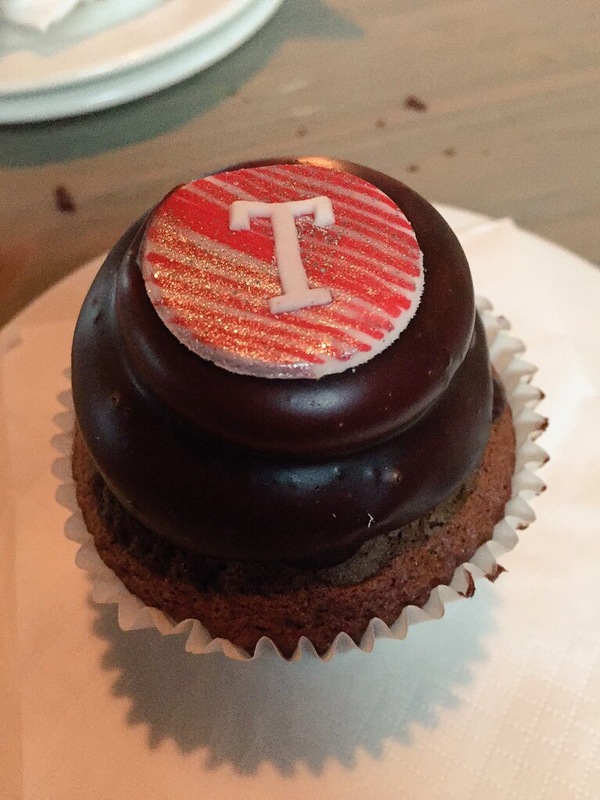 On Sunday I was delighted to take part in Yelp Belfast’s Mouthing Off Series- the Cupcake Off! The challenge took place at Stoker’s Halt in east Belfast and when I arrived I was in cupcake heaven- over 30 cupcakes from each of the 6 competitors were sitting waiting for us! The idea is that, without knowing who has made the food/drink, you try each one, rate them on taste, texture, appearance etc and then vote for your favourite. The one with the most votes is crowned the best in Belfast! They were all delicious but Number 3 really stood out for me. The cake was moist and the cream not too sweet. It was the first one I tried and it stayed at the top for me right the way through. The votes were cast….and Number 3, the red velvet masterpiece, was named the winner! It was then revealed it was J-Bird bakery in Bloomfield Avenue! Congratulations guys! Well done to the other competitors- The Lily Pink Bakery, French Village, Treat Boutique, Lavender Cupcakes and Belfast Bakery Company. There were only a few votes in it! Can’t wait until the next competition!